There is a long tradition of giving flowers as gifts throughout history. People across the world have been using flowers to express their sentiments for thousands of years. In ancient Greece, Rome and China, flowers were believed to be divinely inspired and were laden with meaning when given as a gift. There have been countless references to flowers in art and literature that help us to understand the traditions of ancient people. There are well over a quarter of a million different varieties of flowers alive today. Thanks to fossil records we know that flowers have been growing on Earth for millions of years. We can imagine that ancient people long ago admired their beautiful colors and captivating scents. Over the centuries, many flowers have developed associations with emotions. In some cultures there was a language of flowers, or floriography, that recipients were expected to understand. As far back as the Middle Ages, the symbolic nature of various blooms was used to send a message without the spoken word. During the Victorian era, the size, shape and color of a flower all had significant meanings, many of which are still relevant today. For example, in the US red is associated with passion and romantic love, while white represents purity. Purple is connected to royalty and yellow corresponds to friendship. 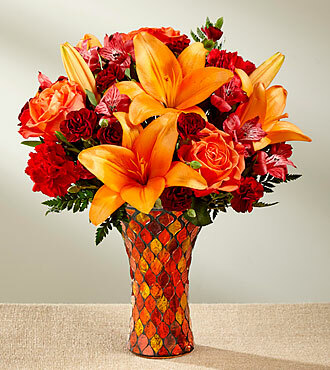 By arranging a bouquet with a variety of flowers, you could send a complex message to the recipient. In the modern world we still abide by some of these unspoken rules of flower gifting. Interestingly, there are very different messages conveyed by flowers in cultures across the world. For example, in Russia yellow flowers are often used for funerals. A gift of yellow flowers for a happy occasion could be mistakenly taken as an insult. It is still common in European beliefs that it is good luck to give someone an odd number of flowers, with the exception of thirteen. While this may seem superstitious to some, these customs have been popular for hundreds of years. This is an extension of the belief that flowers carry a powerful message. Whether or not we believe the superstitions or study floriography, the fact remains that flowers are beautiful. We gift them because we want to share that beauty with someone we care about. We may not know the hidden rules but our sentiment is universal – “I saw something pretty and I thought of you”. There is a long tradition of giving flowers as gifts throughout history. People across the world have been using flowers to express their sentiments for thousands of years.